Sandra Lee, MD, better known as Dr. Pimple Popper, on what causes acne, how to treat it, and even how to pop a pimple yourself. Think you're the only one grappling with angry skin that erupts in breakouts? You and 50 million other Americans. Acne is the most common skin condition in the U.S., according to the . Because she's the go-to guru for all things acne, we wanted to pick her brain for the advice she gives patients on the daily. Follow these tips and get closer to capturing clear skin. You know when you're getting a pimple even before you see it. "When a pimple is under your skin, you can feel pain if you push on the area. That's when the bacteria is starting to irritate," explains Dr. Lee. As the spot gets redder and rises to the surface to become a pustule (aka a pimple that looks “squeezable”) your body is recruiting white cells in order to fight it off. "Your body is pushing out the pimple," she says. Cystic acne is a more severe form of acne; also pus-filled, cysts can be deep and have the potential to scar. A nodule is a hard, solid lesion that's also deep within the skin. What comes before the pimples even head to the surface of your skin? Though most people tend to get acne in their teens, women are more likely to suffer throughout their lives. "Acne is predominantly hormone-driven. Because of hormone fluctuations throughout your cycle, you may break out around your period or during ovulation," Dr. Lee explains. There are also genetic components that drive how likely you are to get acne, like how oily your skin is naturally. Benzoyl peroxide. It's an antibacterial that eliminates P. acnes on skin. Look for this ingredient if you have lots of pustules, since they're an indication that you’re dealing with higher levels of bacteria on your skin. This ingredient won't be as effective when used on blackheads. Retinol. This vitamin A-derivative targets white and blackheads by treating the ones you have and preventing new ones from popping up. "Since blackheads are the building blocks of acne, it's really important to prevent them with retinol," says Dr. Lee. Salicylic acid. A master exfoliator, SA keeps pores clean, and it comes with a pretty cool bonus benefit too: "It crystalizes and settles into pores to prevent new acne from forming," explains Dr. Lee. Even though you may be antsy to know if your skin care routine is working, it's important to give a new regimen two or three months before expecting results. (As long as your skin isn't irritated by a new product, of course–if it is, stop using it.) "Your acne didn't start overnight, so it won't disappear overnight either," cautions Dr. Lee. If benzoyl peroxide, retinol, and salicylic acid help a bit but not completely or if you have cystic acne, see your dermatologist. You may need something beyond topical treatments, says Dr. Lee. Here's the extra oomph that may make a difference. Oral antibiotics. These help treat and prevent bacterial growth from an inside-out approach. Birth control pills. These often help clear skin because they moderate hormone levels that might otherwise spark breakouts. Spironolactone. 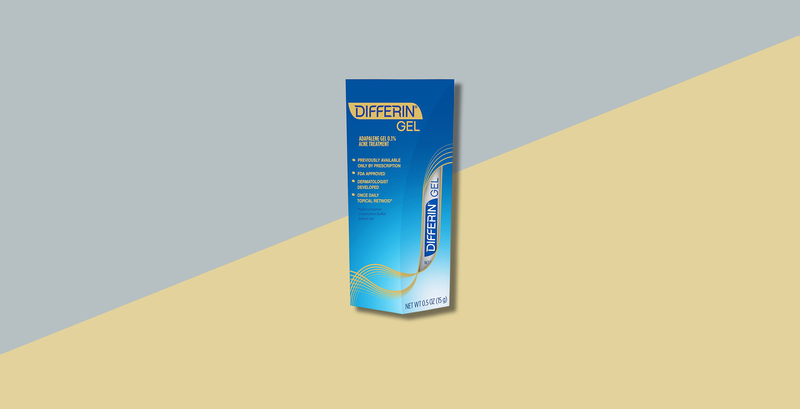 This diuretic packs an anti-testosterone effect, which is especially effective in treating acne in patients with the hormonal disorder polycystic ovary syndrome or PCOS, says Dr. Lee. "Patients also like how it improves the feel of their skin by reducing oil production," she says. Isotretinoin. If you experience deep, painful cysts and nodules, you may need more aggressive treatment. This oral derivative of vitamin A (commonly referred to by the brand name Accutane) shrinks oil glands and limits how much oil they produce. "This is a fantastic medication that does something no other acne medication does," says Dr. Lee. After taking it for four to six months, "we say that your acne goes into remission." Because the drug carries a risk of birth defects, you can absolutely not get pregnant while taking it, so patients are before, during, and after taking the med. Should you pop a pimple? The short answer is that you should maintain a hands-off policy on your skin. "Any time you traumatize your skin by picking or squeezing pimples, you're increasing the risk of infection and scarring," says Dr. Lee. That said, her pimple popping videos are popular for a reason: She knows people are going to pop pimples anyway! If you're going to take matters into your own hands, at least pop responsibly. Wait until the pimple comes to the surface of skin (you'll see the white, pus-filled head of the pimple). Popping a pimple when your skin is ready "will cause the most shallow trauma to skin and decrease the likelihood of permanent scarring," says Dr. Lee. You're also more likely to get everything out; if you don't, the spot will just get inflamed again. Why is acne such a big deal anyway? No one dies from acne–so why treat it? "The answer is that it can deeply affect your psyche, behavior, and relationships," says Dr. Lee. If you've been grappling with acne for years, understand that pimples aren't your fault. There's at least one silver lining: "Having oily skin means you have built-in moisture, which keeps skin looking younger," she says. Remember that next time you wake up to a killer zit. Which Beauty Gizmos Really Work? Expert Advice: Can depression make my psoriasis even worse?